Kluszczynski, R, van Lieshout, M.N.M, & Schreiber, T. (2005). 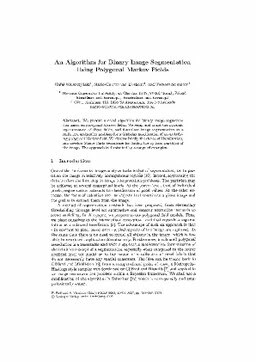 An algorithm for binary image segmentation using polygonal (Markov) fields. In Proceedings of International Conference on Image Analysis and Processing 2005 (pp. 383–390). Springer.